$26.00 (plus service charge) in advance, gate price to be announced. Blaisdell Center Box Office, Tower Records (Kahala & Peal Kai), Tower Video Kapiolani, Hungry Ear Records (Makaloa, Kailua & Wahiawa), Radio Free Music Center, Jelly's (Market City & Pearl Kai), ITT Kaneohe MCBH, Pearl Harbor Bloch Arena, Schofield ITR, UH Campus Center, Tempo Music (Windward Mall, Kapolei), House Of Music, or charge-by-phone at 808-526-4400. No coolers, lawn chairs, or outside food or drinks. No parking allowed on highway. For more information, call KPOI at (808) 599-KPOI. 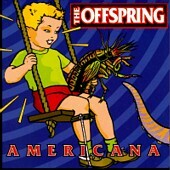 The Offspring's Americana includes the singles "Pretty Fly (For a White Guy)" and "Why Don't You Get a Job," which are taking alternative radio by storm. The most recent album from Bad Religion  a group MTV calls "one of the most enduring bands to come out of the original punk movement"  is No Substance. 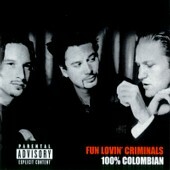 The Fun Lovin' Criminals' latest is 100 Percent Colombian. 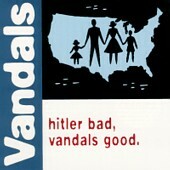 MTV says, "their music is the sonic equivalent of cruising wet, black streets at 3 a.m."
The Vandals' Hitler Bad Vandals Good is described as "a mix of punk, ska, and reggae mixed with a little touch of humour... a must-get for all punk fans." 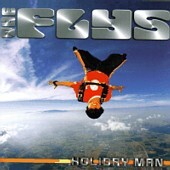 The Flys' latest is Holiday Man. Information on The Big Mele '98 is also available. This information is provided as a public service by Leahi.Net, which has no official connection to this event. See sponsor and band links above for official information. Send comments to info@leahi.net. Page last modified 9 August 1999.